Add some elegance and style to your room with this multi-pendant chandelier. 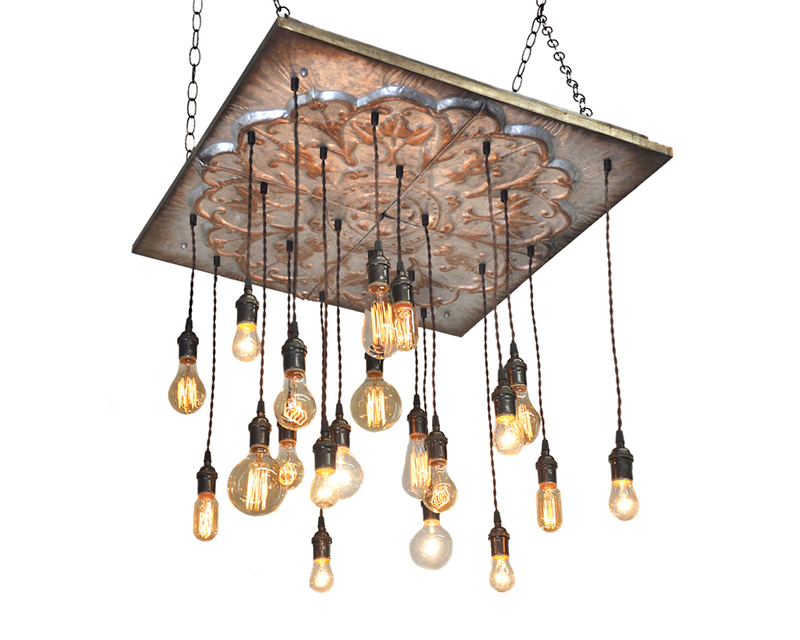 It features a decoratively embossed four panel tin and bunch of pendants hanging at various lengths. The metal relief is a floral design with hits of burnished bronze and rust. It looks amazing on or off..... it's the art of lighting. 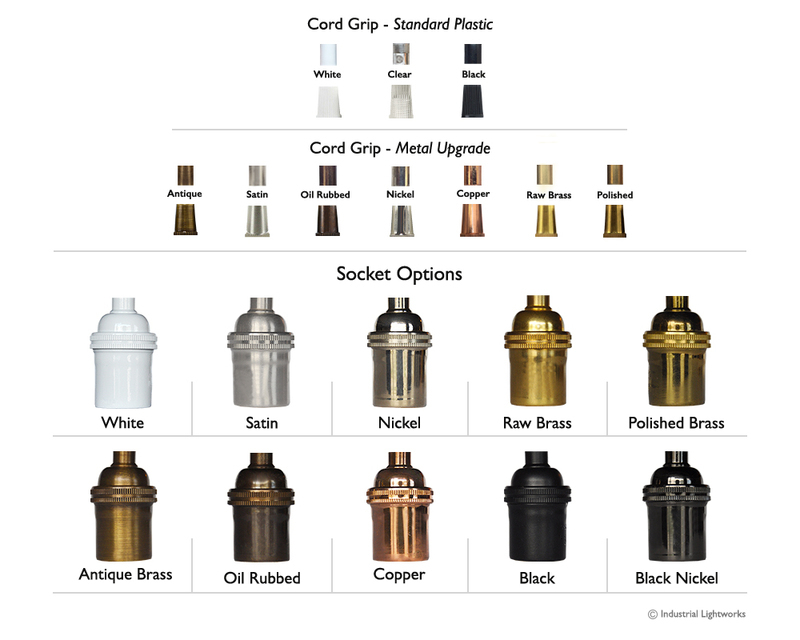 The 20 solid brass sockets are finished in oil rubbed bronze with brown twisted pendant cord. 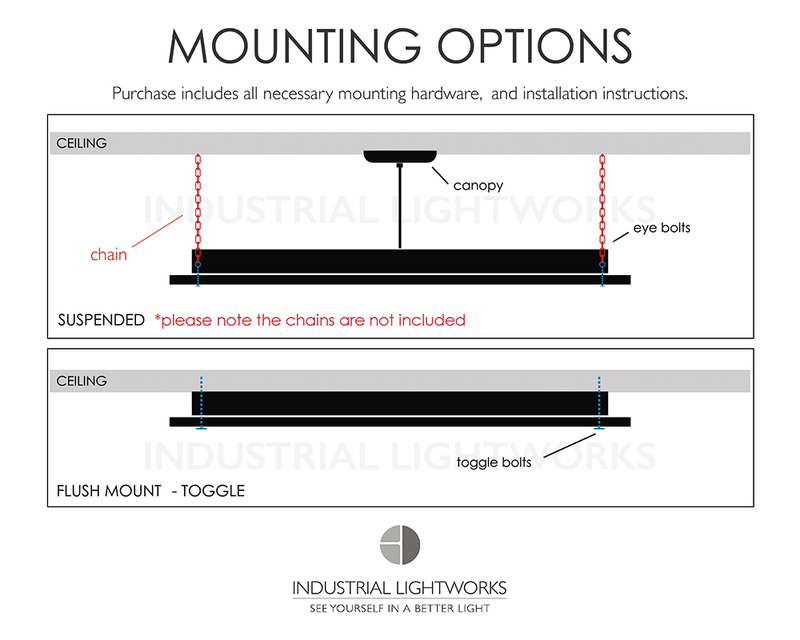 All of the Edison bulbs are dimmable and included as shown. This chandelier is also available in black.